The EDB to PST Conversion tool offers users with an option to create a collection. It helps to export several file formats and save the entire process operations for future use. Managing a case is one of the most difficult tasks for a user. So, this feature makes it ease for the users to manage entire data at one place while exporting Exchange mailbox to PST. Users can also save their time by locating files of any file format which is required. The software to convert EDB file to PST format allows users to select a single file for reading and exporting email messages. 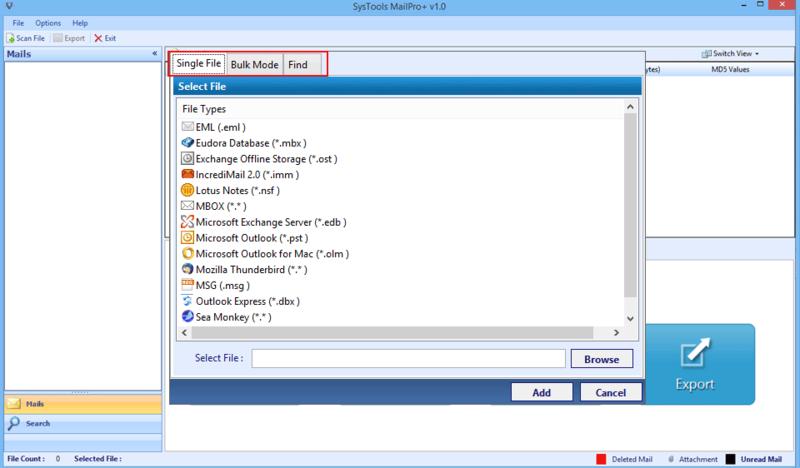 Moreover, after getting multiple files, there is an option of Bulk Mode using which users can add multiple files at one time. The application to migrate Exchange mailbox to PST format permits users to view all the email messages which are present within the Mail Folder and its Sub-folders. It makes it easy for the users to get a listed view of emails which are present in the nested folders in a single click. The EDB to PST Conversion Software provides users with an option to view data within the EDB file in 9 different viewing options. The 9 viewing modes includes Normal Mail View, Hex View, Message Header View, HTML View, MIME View, Attachments View, etc. This EDB to PST Converter tool offers users to apply advanced search using 10+ parameters to find crucial information from email messages. All these parameters include options like To, From, Subject, Importance, Sent Date, etc. By default, the search option works on the keyword based search. While using EDB file to PST conversion software, there is an option to transfer selective emails or bulk email messages from the selected file. The different export options include PST, EML, MSG, PDF, CSV, TIFF and HTML format. 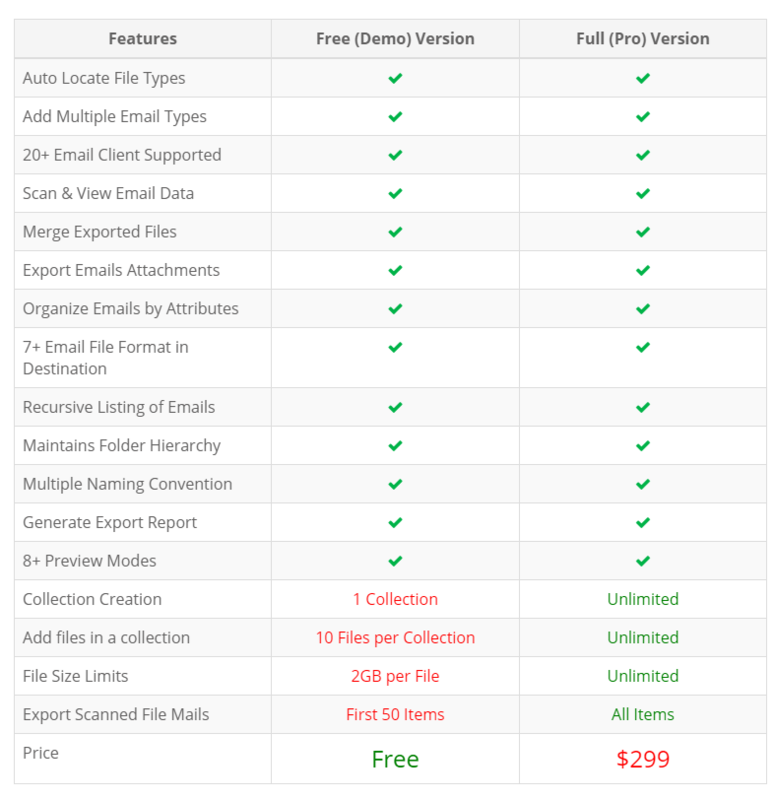 Users can export Exchange mailbox to PST or any other file formats provided by the software. Users can convert EDB mailbox to PST by customizing their export options. The application offers users to choose from a variety of naming conventions such as Subject, Subject + Date and many more patterns. Moreover, the software to export EDB to PST also allows users to maintain folder hierarchy to maintain the original folder arrangement. Few days ago, I faced a situation when Mrs. James contacted me as she wanted to extract mailbox from EDB to PST format. The organization’s entire data was stored in the EDB file. So, she wanted to perform this task just for a precaution as there are great chances of data corruption which in result would make the Microsoft Exchange mailbox data in accessible. By moving data from EDB file to PST format, she could access whole data such as emails, calendar, contacts, etc. in Microsoft Outlook. The PST file can be imported into Outlook and by creating backup of Exchange mailbox, the loss of data can be avoided with ease. Another benefit to export Exchange mailbox to PST data file is that it becomes easier for the users to access data in PST file format as compared to other formats. Moreover, Outlook provides an option to store data at any desired location. Attracted to so many advantages, Mrs. James finalized the decision to migrate EDB file to PST. Since, they didn’t had an IT expert to carry out the entire task in a secure way. After trying this software, I was able to move all EDB mailbox to PST format along with attachments and successfully created a backup of data so that if the Exchange mailbox gets corrupted, then there will be a healthy backup available. Mrs. James was satisfied with the result of the tool. The whole process was executed so efficiently that she was amazed to see the responsiveness and speed of the software. The only limitation which we faced while using this application was that it does not supports conversion of other mailbox items except email messages. FinancesOnline has rated this Exchange Mailbox to PST Exporter 8.0 out of 10. It is one of the best software to preview, search & convert email messages from multiple email clients. 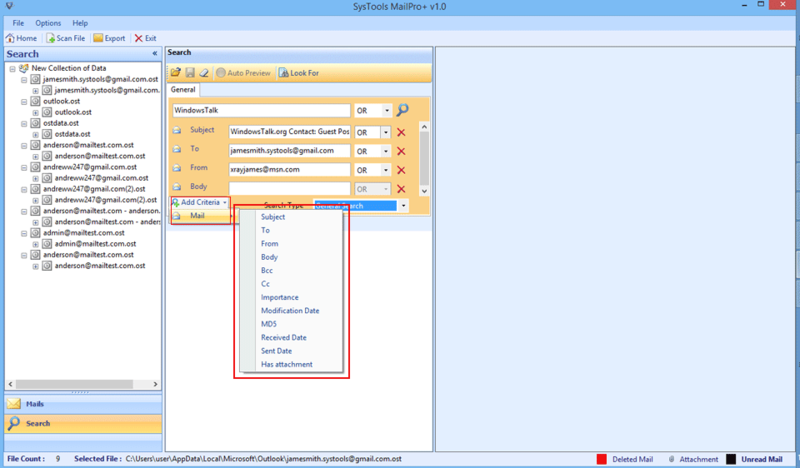 The application also allows users to bulk export the mails into 7 email types. Is there any need for Outlook to be installed to migrate EDB file to PST? You will have to configure Microsoft Outlook in the system but not for an Exchange Server profile. 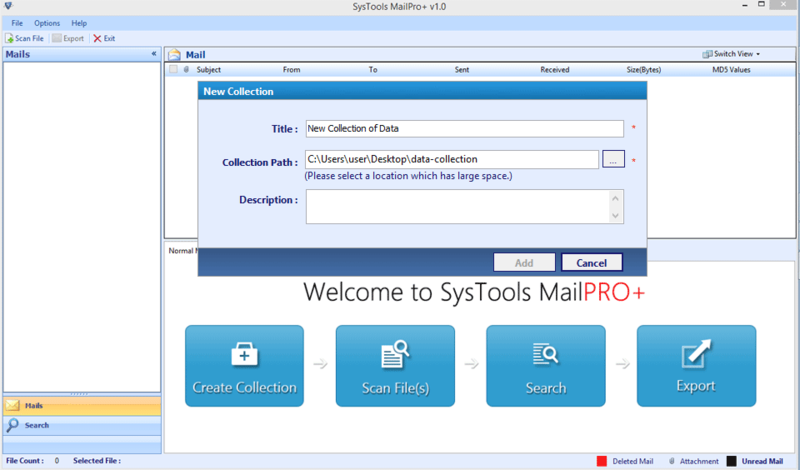 Does the Convert EDB to PST Tool converts all the mailbox data? Yes, the tool helps to change emails, contacts, etc. to PST file format. Both the public and private mailboxes can be converted. Can I also see other contents of mailbox data such as calendar, contacts, etc.? This Exchange Mailbox to Outlook converter is an email scanning and migration software. So, you can only read and export emails from EDB to PST and cannot see other items like contacts, calendar, etc. Can I extract my Exchange EDB file to Outlook 2016? Yes, using this best EDB to PST Converter, you can easily export EDB file to PST format which can easily be accessed on Microsoft Outlook 2016. Can I run this software on Windows 10 OS to convert EDB mailbox to PST? The software supports all the versions of Windows but when working with 10 you will have to run the software as 'Run as Administrator'. How much time will this software take to carry out the conversion process successfully? It totally depends on the size of the EDB file and the number of email messages it contains. If the size of the mailbox is large then it will take more time to convert EDB file as compared to the smaller sized EDB file. Can I use this application to export Exchange Mailbox to PST only or I have the option to migrate the data into some other file format as well? Yes, this is one of the best EDB file to PST Converter software as it provides users with the option to move their Exchange mailbox file into 7 different file formats from which PST is one of them. Using this conversion tool doesn’t feels difficult at all. The graphical user interface of this software is so simple and user friendly that even a non-technical user like me will not face any problem. I will rate this software as the best EDB to PST converter. Converting the EDB Mailbox to PST is very difficult but, with the software everything worked well within seconds. Thanks to all those who made the conversion possible. The tool is awesome and all the files can be converted without any file size limitation.